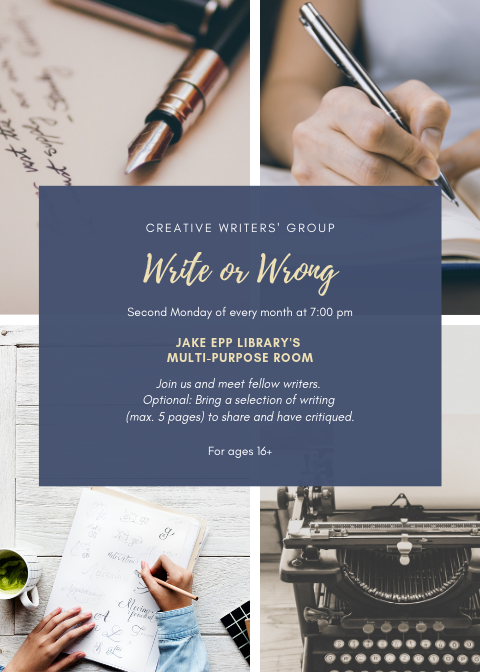 Writers, join us for our Creative Writers’ Group, called Write or Wrong, that meets on the second Monday of every month at 7:00 pm. Enjoy the company of fellow writers and if you would like, bring a selection of writing (max. 5 pages) to share and have critiqued. For ages 16 and up.